Madeline's reactions were as anticipated. "Son, both sides always lose during war. Have you seriously considered the consequences if England triumphs? General Washington and his officers will be hung as tyrants, or imprisoned for life. Yet, if the war is won, the effects will be difficult and far-reaching. After all the glory is spread around, snapping flags are quiet, and brightly colored uniforms are stored away, the dreadful aftermath of war becomes a reality. It arrives in the middle of the night uninvited and refuses to leave. Your heart will become heavy with every life you could not save, and the onslaught of pain-filled groans from suffering men become your unmerciful companion. Jean-Baptiste, you are a skilled surgeon, but oftentimes that will not suffice. In the heat of battle when you lack supplies, the call from suffering soldiers begging for mercy and death will cut through you like a sharp knife. Those sights and sounds will replay in your mind until you are an old man and your memory becomes blurred and faded. For many years, their cries for mercy will awaken you from a deep sleep, and force you from your bed. During these lonely hours while the world sleeps, you will question your performance and wonder if you could have done more. Sitting alone in the dark, you will beg God for peace of mind and pray for the dawning of a new day to come quickly. 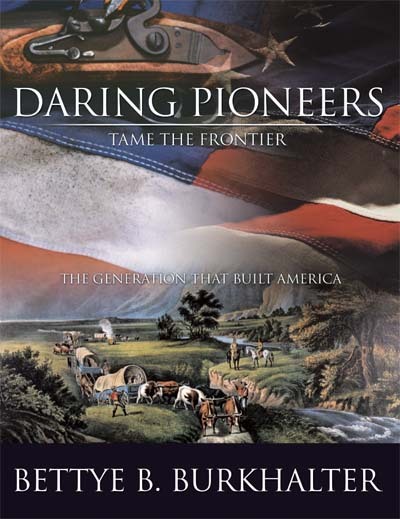 "We all understand General Washington is in dire need of manpower, supplies, and money. The general desperately needs France as an ally, but I am not willing to give him my only son. Jean-Baptiste, I ask you in the name of your father lost at sea, please consider all these options before you leave your family and homeland. Son — will you do that for me? Will you?" The year was 1781. The first week in October sent the Siege of Yorktown into full swing. In the heat of battle, doctors and surgeon-mates rushed about treating the fallen struck by cannon balls and fragments, or bleeding to death from severed arms and legs. While Dr. Burel helped one man, another youngster nearby begged for his mother as he clinched a detached arm that was not his own. Calming and comforting the dying, his stomach churned from the stench of gunpowder, smoke, and hot blood as it mingled with excretions of death filling his head and lungs. As the days and nights of the siege continued, life flowed profusely from the mortally wounded, and the ground underfoot slushed with bloody mud. Dr. Burel watched the death toll rise and wondered if beleaguered comrades would bury their fallen quickly in unmarked shallow graves. Or sadly, would many of them be left where they fell for Mother Nature to reclaim them in good time into her bosom. Cursing the treacherous war in his native language, he hastily bandaged another severely wounded young American soldier from a nearby farm. Suddenly, Burel felt something grasp his right ankle. Startled, he looked down and heard a slave begging for relief. Within seconds the strong black hand released its last lifeline of hope, and the ragged soldier slumped down upon an already fallen young Frenchman in a bright new uniform. Burel took a mental picture of the three men lying together from three different worlds: one from a small farm, one from a large plantation, and one from faraway France. Making the crucifix over his heavy heart, the young doctor thought of his mother on the other side of the world. Reverently, he whispered, "My good men, you are now free from your pain and worldly woes. God bless you, and may your souls rest in peace." Philadelphia, 1785. Governor pranced in place as John reached down and hoisted Patience onto the saddle in front of him. Reaching the Delaware River, they rode north for awhile before John pulled reigns. While Governor grazed on tender green patches of grass, he untied the blankets and spread them on the riverbank. Sitting together, they listened to the sounds of the busy river and enjoyed each other's company for hours. Now on his back with both hands folded under his head, John listened to Patience chatter about war-ridden Philadelphia and her dreams. She was so beautiful and young at heart. "Thank God the war had not hardened her," his inner voice whispered. As he lay there admiring her silhouette and flowing hair in the moonlight, he knew his friend Randolph Jenkins was right. The love bug had bitten him, and he wanted to marry Patience Bird. As the evening wore on, he realized how much he wanted to marry her at that moment. Now — tonight! Love was powerful, and he did not plan to spend another night without her by his side. The passionate love awakened between them was guarded, but it soared painfully. Standing and pulling her up close to him, he cupped her face in both hands. His proposal of marriage was more like a nervous plea. "Pa-she-anc-er, now that the war is over, will you marry me? Now — tonight. Please? Will you?" As the seconds ticked away between them, Patience gazed into his dark eyes and nodded sligthly. Holding her even closer he anxiousley asked, "Is that a yes?" When a faint yes escaped her lips, his inner voice shouted, "Thank you God." In the cool of the early morning while Patience slept, John held his beautiful new bride wondering how they would explain their elopement to her parents: especially her Acadian French Catholic mother. The dreaded day ahead made him break out in a cold sweat. He had to offer some reasonable explanation for marrying outside the Catholic Church — but what? The saga continues with Dr. Burel's son James leading the Mississippi-bound wagon train from South Carolina to Mississippi. The first Christmas in Attalaville was a grand celebration of their newfound life and another grandbaby on the way. As Mother Nature hurled harsh weather across the homesteads, James' daughter showed no signs of delivery. Sleet pecked noisily on the window panes and icicles hung like daggers on the eaves. Late one evening Anne Elizabeth was hit with excruciating back pains. The long and wretched labor delivered another healthy baby girl. James and Lisbeth proudly held their tiny granddaughter and looked at each other with disbelief. She was the spitting image of Anne Elizabeth born to them twenty-seven years earlier. Anne slept and grew weaker each day. Unfortunately, the only doctor was too far away to fetch during the furious snowstorms. Puzzled, Anne looked at her mother and whispered, "Mama, it wuzn't this way before. Somethin's wrong." At daybreak Joseph lovingly reached for his wife. He screamed for Lisbeth frantically begging, "Lisbeth, help her — for God's sake do somethin'!" Her dark eyes were partially opened and fixed peering into infinity. Her husband and parents locked stares in disbelief while shock quickly numbed and prepared them. Deep animal groans gushed from Joseph's chest as he dashed outside into the snow in his nightshirt. Sobbing, Lisbeth fell against James in despair as their beautiful daughter joined thousands of other women who died from childbirth. "Oh my merciful God! Why Anne Elizabeth? Why? Please tell me why!" Years went by and the Burells enjoyed Mississippi's Golden Yearsreaping prosperity as landowners and independent farmers. 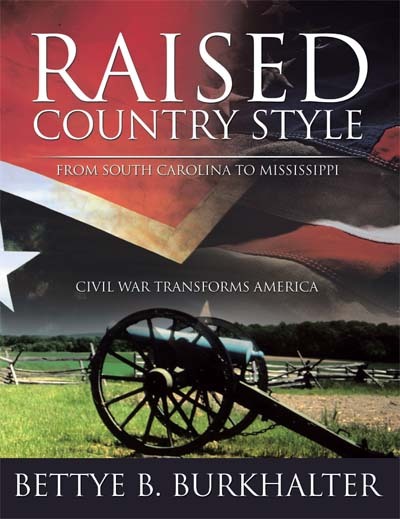 As the cotton kingdom grew, plantation owners became richer and small-time farmers prospered. Life was good. Slowly, heated discussions concerning states' rights turned into fire-eating debates. From the richest aristocrat to the smallest farmer, protecting their way of life drew deep lines between the North and South. Threats of southern states seceding from the Union unfurled from country stores to the streets of Washington City. Too soon, the dreaded war swept across the southland. Grueling years at war passed slowly. Finally, the long awaited furlough sent the old sick and ragged Rebel walking down a muddy road outside Yazoo City. Flooded places forced James to tie his worn-out shoes together and throw them across his shoulder. Thirty miles later the outline of his house came into view. Cursing the war for its destruction, his heart pounded out of control as he walked through his unplowed fields knee high in weeds. Turning the corner of his barn, pots and pans echoed from the kitchen. Drifting aromas of turnip greens boiling with hog fat and sweet potatoes baking in the oven met him in the backyard. "Praise God! I'm finally home," he muttered to himself. When the bank president broke the bad news to John Harrison, he sat silent for a long time staring into the floor between his feet, lightly tapping his walking cane. Dave felt sick inside and sat still giving the old man all the time he needed. Finally, John Harrison raised his head and spoke softly to the banker who held his Deed-of-Trust. "Golly Dave, I understand all of that, but a few years of good crops and I can settle with you. Dave — my Pa bought this land from the government when we pioneered here from South Carolina. I can't lose the last 640 acres — I just can't." Although stunned by Roaring Twenties new fashions illustrated in the Vogue and Sears and Roebuck Catalog, Chicago and New York flappers were another world away. When the Burrell family found time to thumb through the wish book, all those strange looking dresses with matching shoes were out of the question. They only wished for a new pair of overalls and boots. But slowly, the Roaring Twenties left its mark at every household. Revisiting those years, Cecil explained. "During the Great Depression I didn't know anyone who didn't worry about being poor. Folks who had a little money were afraid to spend it, and after the stock market crashed in October, it was hard to find a decent job anywhere. When unemployment reached twenty-five percent, there were no good jobs. Daddy bought the Mitchell farm a few days before Christmas in 1929 when the country was getting into a big mess. We were proud, but we wondered how in the world we were gonna make all those bank notes." "It was a cold Sunday morning on January 16, 1944. At 10:55 hours our twenty-eight B-26s took off. As Flight Commander of the 444th Squadron leading the mission, we had orders to knock out the railroad bridge near Orte, Italy, about eighty miles north of Rome. Once we were airborne I glanced proudly at my advanced squadron. The vibrations and familiar roar of our B-26 eased my tension, and the engines never sounded more powerful as they hummed in harmony at 9,200 feet. With confidence and self-assurance Lieutenant Green positioned the bomber over Italy searching for the target. Within moments he exclaimed, 'There it is!' and leveled the plane with precision on the bomb run and prepared to take out the bridge. Suddenly and unexpectedly the aircraft jerked and swayed uncontrollably. I knew we were hit, and I knew it was a bad hit. As the blast of flak tore into our aircraft the right engine was knocked out. Within a few seconds the fuel tank ruptured sending bursts of flames in every direction. I knew, as the eight-man crew knew, that our destiny was being measured in seconds. God help us all." Sixteen generations later the saga goes full circle and comes to a close. 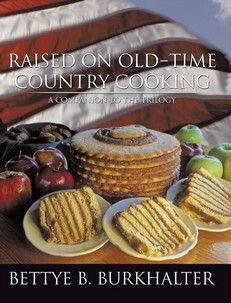 Raised on Old-Time Country Cooking revisits major events in the three novels. Menus, cooking methods, and recipes spanning over two centuries paint a clear picture of how each generation nourished their families and celebrated grand occasions. The book opens at the La Burelle near Ollioules, France, with the grand "send-off" of their youngest surgeon who anxiously bid farewell to his family for his rendezvous with destiny in America. When Dr. Burel married in Philadelphia, the French couple loaded their covered wagon and headed down the Great Wagon Road toward the backcountry of South Carolina. They were forced to leave behind hundreds of years of family traditions and conform to the unforgiving raw frontier. Surviving off the fat of the land, he and his Acadian French bride adapted old French recipes and developed new ones. Turning back the pages of time, the winding roads and blazed trails take us back home. Upon arrival at the old homeplace, the favorite room in the house is found: Mama's kitchen. As we climb the old doorsteps, familiar sounds of pots and pans, aromas of good food in the air, and tastes of years gone by float in and out of our senses. Suddenly, visions of supper around the long oak table by the dim oil lamp bring back childhood memories and squeeze our hearts. The sizzling sounds of Mama frying chicken on the old woodstove reminds us her kitchen offered southern hospitality at its best. Visions of swirling meringues on chocolate pies cooling on the screened window shelf, and Grandpa's old French muscadine wine hid away in the cellar are as clear as yesterday. These old-time recipes and family celebrations rekindle the true meaning of Mama's favorite picture still hanging on the wall: Home Sweet Home. Suddenly, hot tears blur our vision and we stop and ask: where did all the years go? Wiping away the tears, we stop and pay tribute to our ancestors whose dreams reached across sixteen generations and warmed our hearts. As we remember how our kinfolk bravely navigated the Atlantic Ocean, trekked down deep-rutted muddy roads, crossed broad rivers, and dared to stand tall on their beliefs, we clearly understand. Blessed with a renewed appreciation of their gutsy and unyielding convictions that won independence from England, tamed the raw frontier, survived the Civil War, coped with the Great Depression, and won two World Wars, we pause with ultimate pride and admiration. It was a story worth telling!